The Twist, or Pikorua depicts the union of two becoming one. This can be the joining of two lives that have come together, the intertwining of entity’s, ideas, or aspects of yourself. Alternatively, it can also represent the coming together and integration of our higher nature (e.g. our spiritual understanding of ourselves) and our conventional nature (worldly understanding of who we are as individuals). This coming together, or intertwining of such things bestows upon us a mental harmony and deep peace. The Twist, or Pikorua depicts the union of two becoming one. 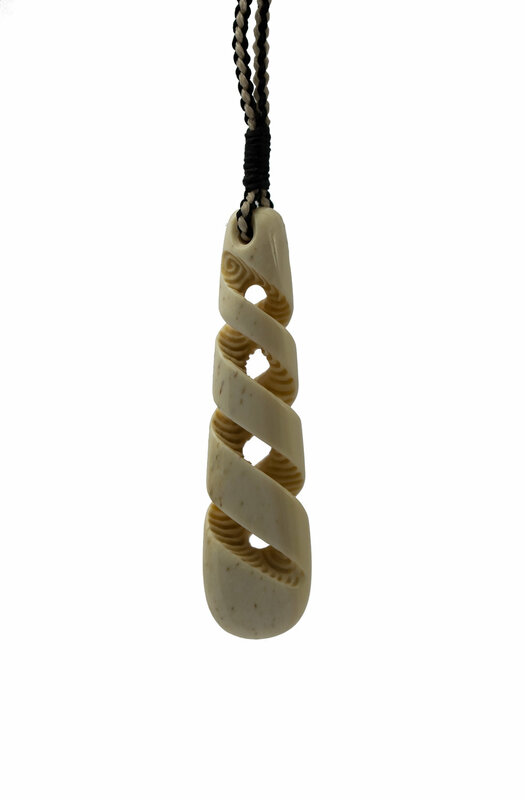 A relatively modern addition to traditional Māori carving, the twist shows us that the bonds we have must grow and evolve if they are to thrive. The twists come together at certain points, and at other points, they depart for a time before coming together at another level of the twist. 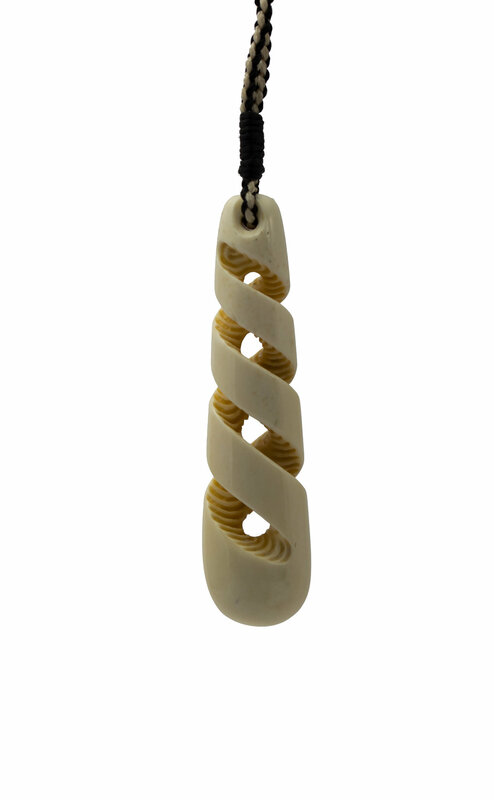 The markings on the inside of the twist are like steps leading us higher and higher towards supreme inner peace. The name of this carving is ‘Intertwined’. This piece comes with an officially signed certificate of authenticity and has been registered in my database of work.